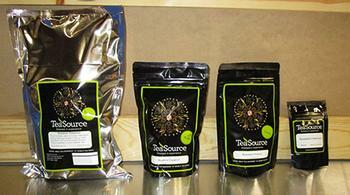 TeaSource of Roseville, Minn., is recalling Roasted Chestnut loose leaf tea that may contain almonds, an allergen not declared on the label. The recalled product was sold in the company's three retail stores in the Twin Cities region and elsewhere in the U.S. through web and mail order. It comes packed in metal foil pouch (either silver or black), with a TeaSource label identifying it as “Roasted Chestnut” in one of four sizes: 1-lb., 4-oz., 2-oz., or sample. Customers who purchased the recalled product on or after June 18, 2018, should return it to the place of purchase for a full refund. Consumers with questions may contact TeaSource at (877) 768-7233.